Following the continued trend of “honsul,” or drinking alone, and increased single-person households, more liquor companies are releasing smaller products. South Korean brewer Oriental Brewery said it has launched mini beer cans in 250-milliliter servings, which the company said are “perfect for the summer vacation season” because they are easy to carry around and can be consumed at once. OB also released mini-sized Hoegaarden Rose bottles, in an effort to diversify its small-portion lineup. Rival Hite Jinro also launched 250-ml Hite Extra Cold beer cans. 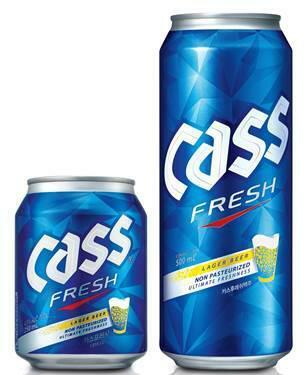 Lotte Asahi Liquor launched its even smaller 135-ml Asahi Super Dry. Diageo Korea released its signature Johnnie Walker Red and Black Label blended whisky in 200-ml bottles. Pernod Ricard also introduced Irish blend Jameson at 200 ml. Lotte Liquor launched quarter-bottle 187-ml Yellow Tail Shiraz wine, which is about one wine glass. Retail giant Shinsegae Department Store introduced 100-ml mini wine bottles and wine products in carton packages. “More small liquors will be introduced to the market since, unlike in the past when people were forcibly dragged into eating and drinking liquors with others, more Koreans are drinking less strong liquors and enjoying smaller portions at their homes,” said an industry insider.